Top 8 Best Hair Salons in Birmingham — Sian Victoria. 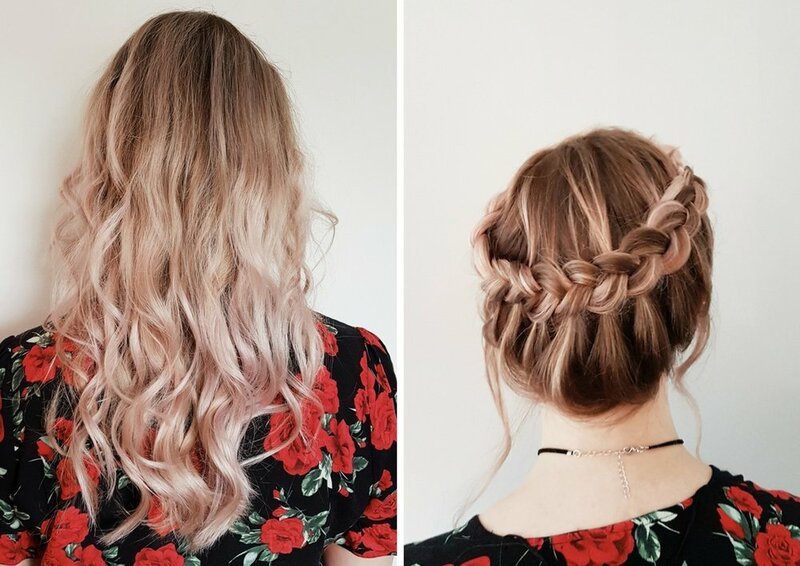 I’m always on the look out for reputable trendy hair salons in Birmingham who use the latest hair colouring products and treatments such as Olaplex. Although these places tend to be pricier, they’re treatments are certainly worth it to prevent hair damage during the bleaching process. If your anything like me and you’re always trying to achieve the strongest and blondest hair you can then you may find my list of highly experienced hair salons helpful. 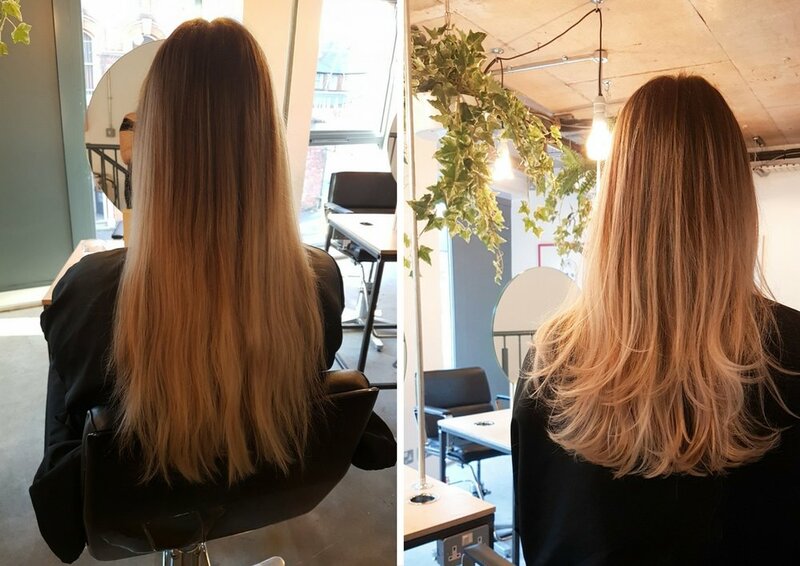 If you search ‘best hairdressers in Birmingham’ nothing useful turns up, therefore I thought I would share my experiences and before and after photos taken over the past three years to give you a better insight from a customer perspective of some of the top hair salons in Birmingham. This list is in no particular order; however, my favourite hair colour of all time was achieved at Bad Apple Hair Salon in Walsall with the lovely Ciara who gave me exactly what I wanted, silver blonde hair root to tip! You can find Bad Apple all over the West Midlands, but their Birmingham salons are located in Topshop Bullring and Burlington Arcade. Colour prices start from £60 and for a blow dry & cut from £41 for women. Read my original Bad Apple review. Nardia from Rumours Hair Salon in Harborne created this lovely balayage by painting on bleach through the ends and using a toner to make it silver. To prevent my hair from damage Olaplex was used so my hair felt great afterwards. A cut & blow dry starts from £43 and foil highlights start from £85. Read my original Rumours of Harborne review. Lauren from Hazel & Haydn in the Jewellery Quarter brought life to my hair with a wash, blow dry and cut. The salon has an industrial stylish look and an adorable dog to greet you on arrival. A ladies cut & dry starts from £40 and a full head of foils start from £90. Blow Ltd style and blow dry hair on the go, they can be booked for a home visit when you have a special occasion, or you can visit their beauty bar in Debenhams, Bullring. Stylist Marie visited my home to create five summer festival hairstyles, which I absolutely loved! Blow Ltd are available in Birmingham, London and Manchester and prices start from £35. I visited Regis Hair & Beauty Salon on Corporation Street, Birmingham for a Bond Strengthening Treatment and blow dry. My hair looked and felt amazing afterwards, so I highly recommend the treatment if your hair is weak and damaged, especially if you have recently coloured your hair and its condition needs a boost. Read my Regis colour bonding treatment review. Francesco Group have professional hair salons all over the West Midlands. However, I visited the Francesco Group Salon & Academy in Stafford where Gold winner colour expert Heather Shaw sorted out my faded dull blonde and transformed it to this beautiful ice blonde and gave my hair a much needed chop to make it look thicker and healthier. There are two James Bushell hair salons in Birmingham, one in Edgbaston and the other in the Mailbox. I've visited both, on this occasion I went to the Edgbaston Village one where I had a colour, cut and style with the lovely Sophie who coloured it and Harriet who cut and styled. To get rid of my brassy roots that occured from a root drag Sophie bleachd them and worked some through the lengths for a more even colour. Harriet then finished by creating big bouncy curls. A ladies cut & finish starts from £45 and a full head of colour from £89. Another fantastic hair salon located in Edgbaston Village is JYG Hair & Beauty where I popped in for a quick wash and blow dry. The stylish hair salon with large silver ornate mirrors is highly experienced at working with all hair types and providing hair cutting, colouring and styling services. If your hair is lacking volume and moisture they also provide Moroccanoil, Kerastraight, Redken and INNOluxe treatments. A wash & blow dry is £20/£24 and it can take 30-60 minutes so you'll be walking out with fresh voluminous hair in no time! So, there you go, my list of some of the best hair salons in Birmingham from my experience. If you know of any reputable hairdressers that I should try out let me know and they might make it onto my list. Disclaimer: All haircuts, colours, treatments and styles were complimentary over the past three years. All photos and words are my own.